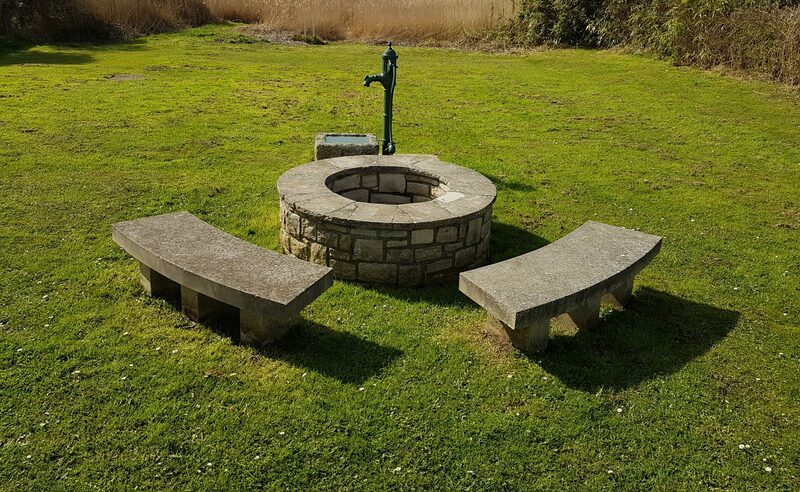 The effort of the Friends to preserve Tutton’s Well as a public utility has been rewarded by the site being chosen as the venue for an annual Well Being Day, an event is hosted by members of Christchurch Folk, who also hold monthly folk music sessions in Christchurch. Well Being Day does not pretend to be a revival of a lost celebration, but is rather an endeavour to initiate a new tradition. It presents an opportunity for local people to celebrate the simple miracle of being alive, with the ability to experience and shape the universe. The physical and health-giving attributes of the well-spring are used to symbolise the purity, vitality, and clear vision of a spiritual aspirant. It is this spirit, whether human or holy, that is celebrated throughout the day with meditation, music, dance, song, and other communal activities. The first Well Being Day was held on 9 July 2005. Because the Well has no known dedication or saint’s day the date chosen was simply the closest Saturday to the 1st Anniversary of the Well’s reopening by the Friends in 2004. A hundred well-wishers gathered at Tutton’s Well, Stanpit for the second annual Well Being Day (Saturday 8th July). The event celebrated both the medicinal and spiritual attributes of the ancient well-spring, which has been a source of pure water for thousands of years and reputedly used by the monks of Christchurch Priory for treating eye complaints. The day began with a floral crown being carried to the Well accompanied by Christchurch Folk musicians playing the Cornish ceremonial march Quay Fair. Once placed on the Well the crown was adorned with flowers to symbolise an ordinary mind being transformed into a mind that seeks joy and beauty. Marilyn Brown then led an alfresco thanksgiving mediation inspired by the journey taken by water to reach a well-spring. Music during the midday communal picnic was provided by Christchurch Folk musicians, whilst therapists Darci Swift, Jacqueline Kelly, and Nicci Evans offered Indian Head massage and reflexology. Wishes for the well-being of the world were tied to a symbolic Wishing Tree, where they fluttered in the breeze from Christchurch Harbour like Tibetan prayer flags. A Bubble Blessing held around the Well inspired the well-wishers to release suffering, share love, and rejoice in the rare preciousness of our human lives. These sentiments were carried away in clouds of shimmering bubbles. More entertainment was provided by the Mudeford Melody Makers community choir, led by Bobby Burke, which sang a number of popular folk songs. The day ended with local U3A International Folk Dancers, led by Janet Mason, encouraging everyone to join them circle dancing. The accompanying music was again provided by Christchurch Folk musicians and the Mudeford Melody Makers. An edited version of this press release appeared in the Christchurch Advertiser on 27 Jul 2006.